India is a diverse country not only in terms of its geographical areas but also in terms of its rich cultural heritage. This makes India a major place for tourist attraction internationally. Every year, people from all over the world visit India to experience the rich cultural diversity and serene beauty of the country. So, if you are planning your holidays in India, here we have shortlisted the top 10 Tourist Destinations in India that are worth your visit. 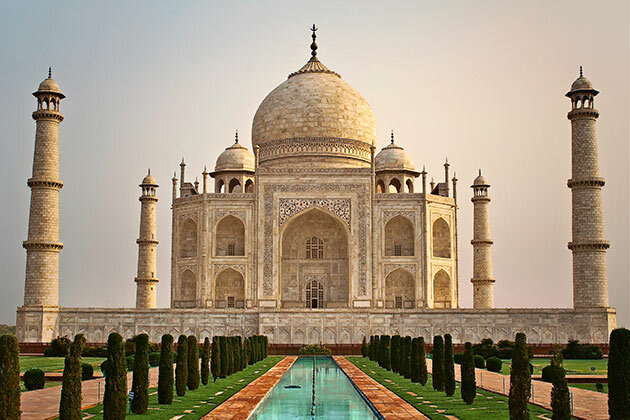 Agra is one of the most popular tourist destinations in India. Taj Mahal in particular is the most famous tourist attractions in Agra. Taj Mahal is a symbol of eternal love which the main reason why every year it is flooded by number of tourists from all over the world. Apart from Taj Mahal, if you are in Agra you must also pay a visit to places like Akbar’s Tomb, Fatehpur Sikri, Sikandra Fort, Agra Fort and Ram Bagh. 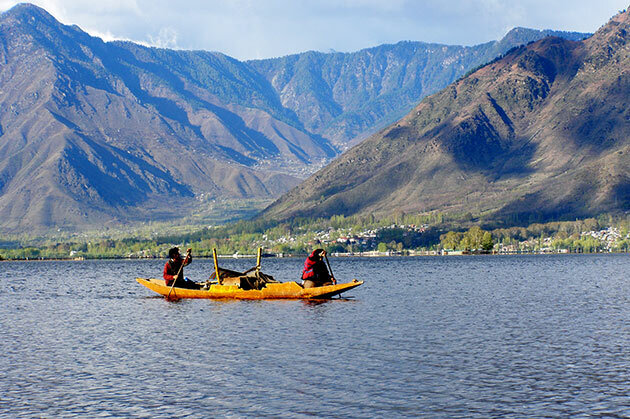 The only heaven on Earth, Kashmir is one of main tourist destination which is quite known for its natural scenic beauty. The lush green valleys, flower gardens, Alpine villages, snow covered mountains and cascading waterfalls adds to its beauty. This is a must visit tourist destinations during winters where you can experience the joy of the boat ride on the beautiful Dal Lake. Some other chief attractions in Kashmir are Pehalgam, Srinagar, Pari Mahal, Gulmarg, Nagin Lake, Shankracharya shrine and Sonmarg. 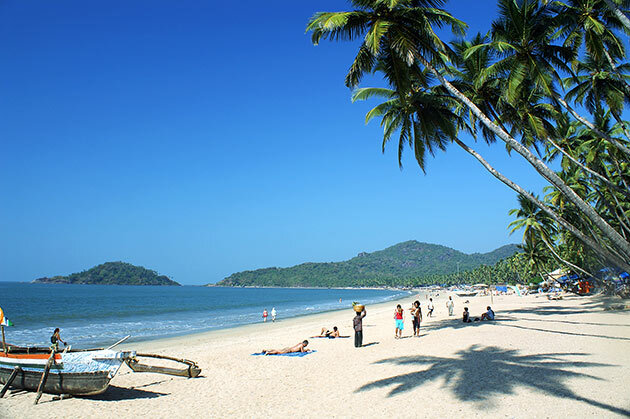 Goa is well known for its exotic palm beaches, beautiful sunset view and soothing atmosphere. Every year people from different parts of the world visit Goa to spend some quality time with friends and family. You can also enjoy the tasty seafood, water skiing and wind surfing facilities on the beaches of Goa. The Chapora Fort, Arvalam Waterfalls, Alorna Fort, Calangute Beach and Ancestral Goa Museum are some other places worth visiting in Goa. 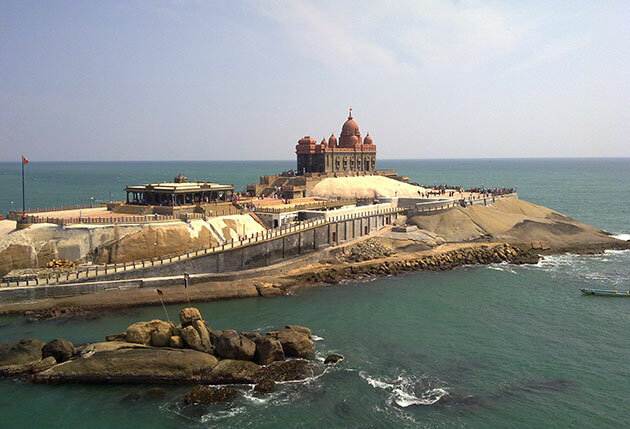 Kanyakumari is another popular tourist destinations is India which is quite known for its unique and stunning sunrise and sunset views. It is a place where three massive water bodies namely Arabian Sea, Bay of Bengal, and Indian Ocean finally meet. Thousands of tourists visit this place to enjoy the tranquil beautiful and spectacular views of the sun. Jaipur and Udaipur are popular travel destinations on Rajasthan. These places give a deep insight of the rich culture and heritage of Rajasthan. 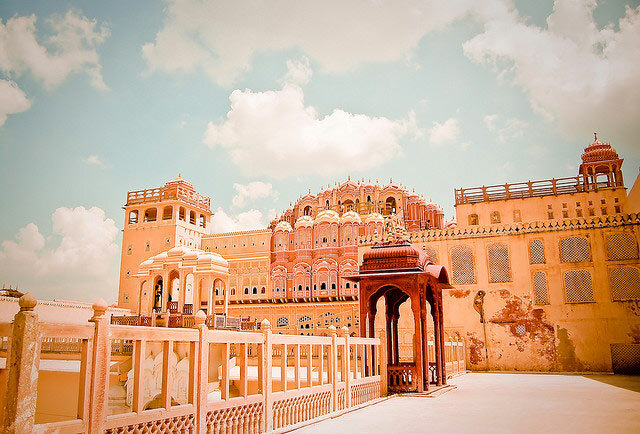 The Hawa Mahal situated in Jaipur is one of the most visited places in the city. Morevover, Udaipur is quite famous for its Lake Palace which now transformed into a hotel and contains 17 suites and 66 rooms. If you are visiting Jaipur and Udaipur, you must also spare some time to visit places like Amber Fort, Rambagh Palace, Jantar Mantar, Jal Mahal, and Central Museum etc. 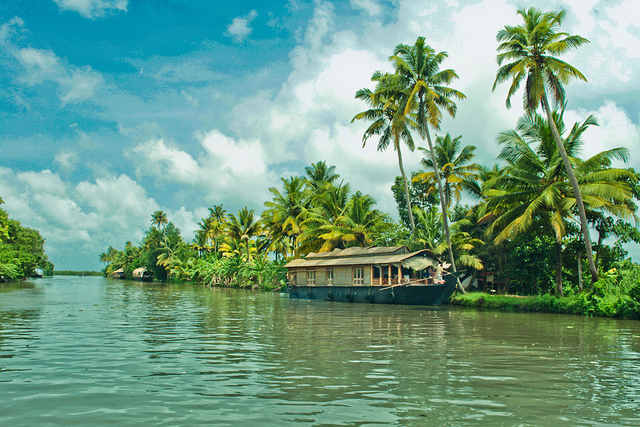 The enthralling backwaters of Kerala, the beautiful hill stations, the spell-bounding waterfalls and the peaceful environment make it the most visited tourist destinations in India. The popular tourist attractions in Kerala are Varkala beach, Wayanad, Munnar, Thekkady, Anthirapally waterfalls and Sree Padmanabhaswamy temple. This place is also known for its ecotourism initiatives and its soothing and healing massages. Delhi, the heart of India i.e. Capital of India also houses many tourist attractions sites and monuments. 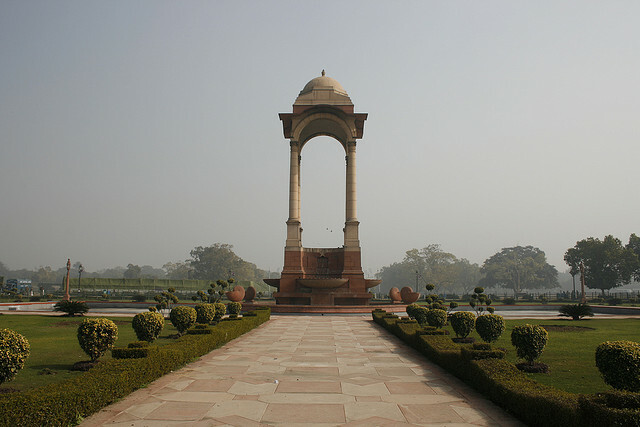 The India Gate, Lotus Temple, Jama Masjid, Qutub Minar, Red Fort, Jantar Mantar are some popular tourist stops in Delhi. You may also witness many embassies and government buildings in Delhi. 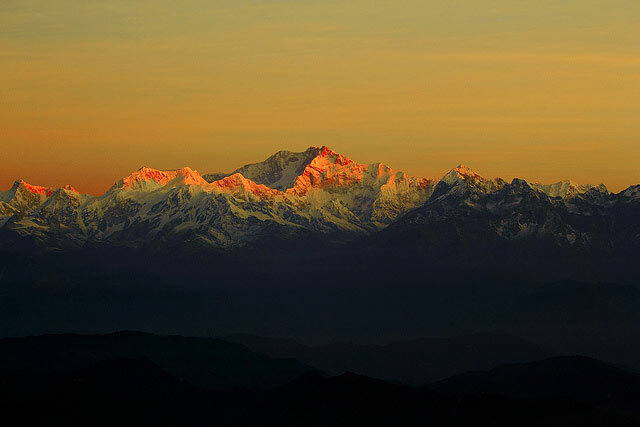 Darjeeling is popularly known as the “Queen of Hills” and is an epitome of serene natural beauty. Darjeeling is the producer of many popular teas in the world. The Tiger Hill, Singalila National Park, Padmaja Naidu Himalayan Zoological Park, Batasia Loop, Japanese Peace Pagoda and Happy valley tea estate are some of the popular tourist’s attraction places in Darjeeling. After Taj Mahal, the Mysore Palace popularly known as the Amba Vilas Palace is one of the most popular tourist attractions in India. 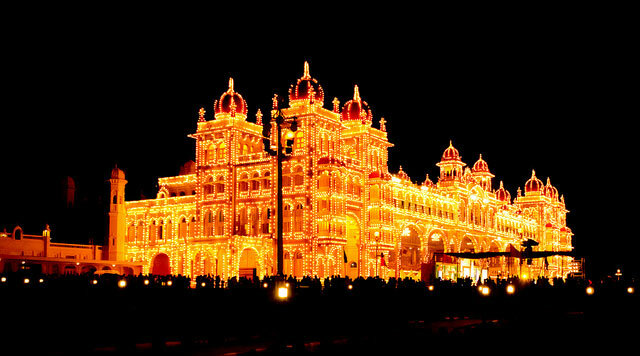 The city is quite known for its Dasara festival celebrated during the autumn season. You may also visit some other popular places in Mysore like Sri Chamarajendra Zoological Gardens, Brindhavan gardens, Chamundeswari Temple and St. Philomena’s Church. The Ajanta caves situated in the Aurangabad district of Maharashtra is an epitome of rich cultural heritage of India. The 30 rock cut cave monuments is a marvel of architectural work. 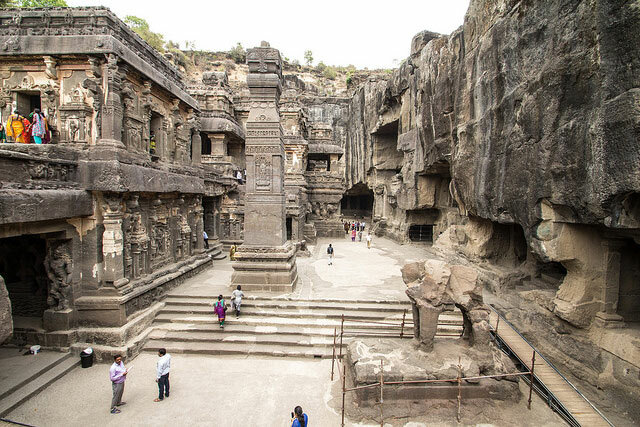 The cave temples of Ellora situated in the Deccan Plateau contains a large number of Hindu, Buddhist and Jain temples. All the temples are made up from solid rocks which are a pleasing sight for the visitors.